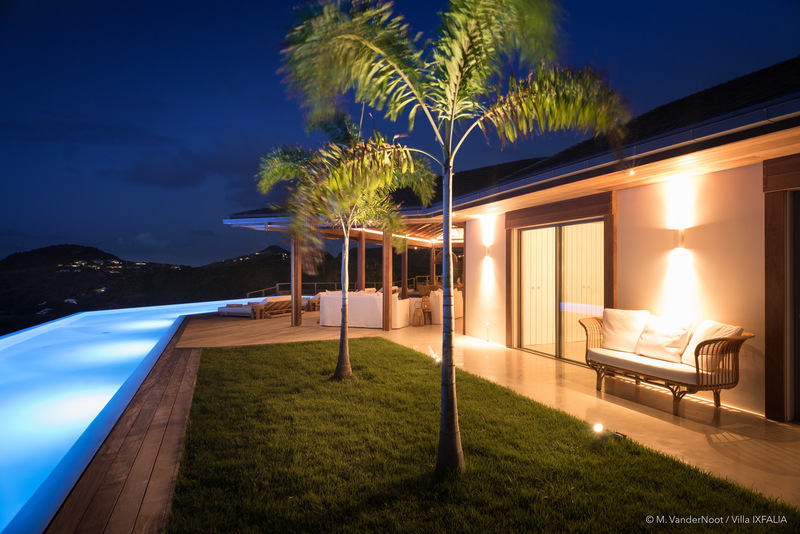 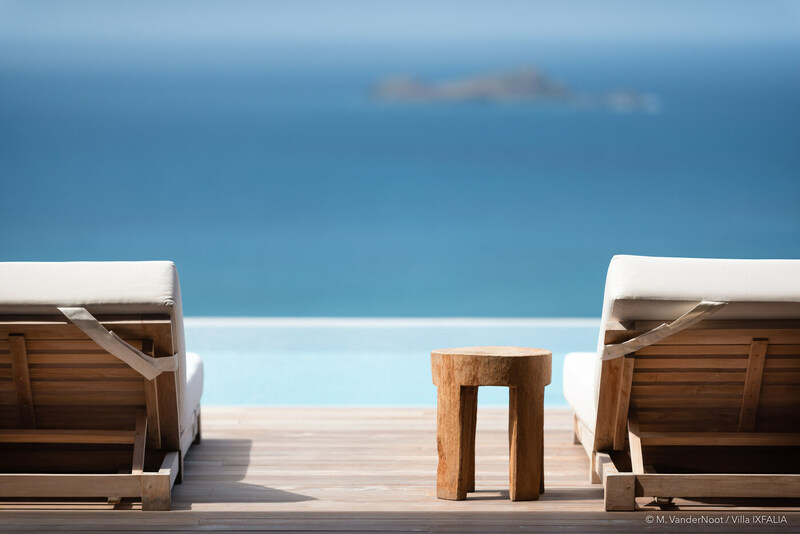 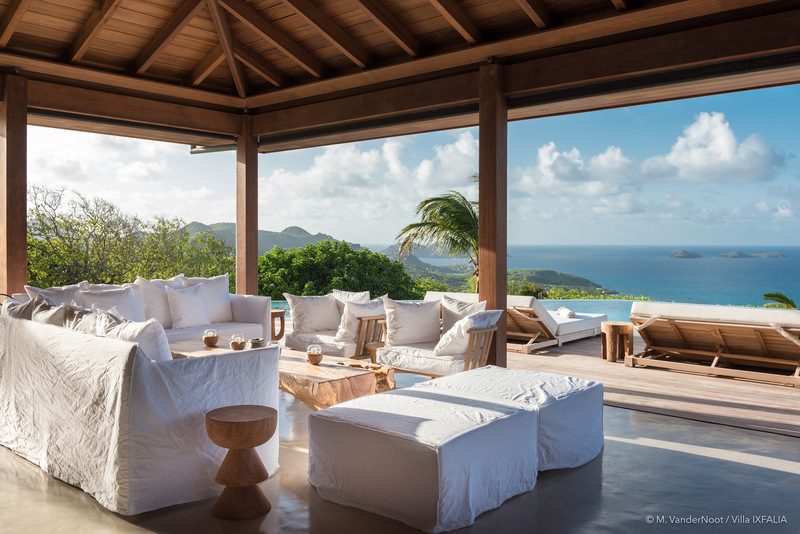 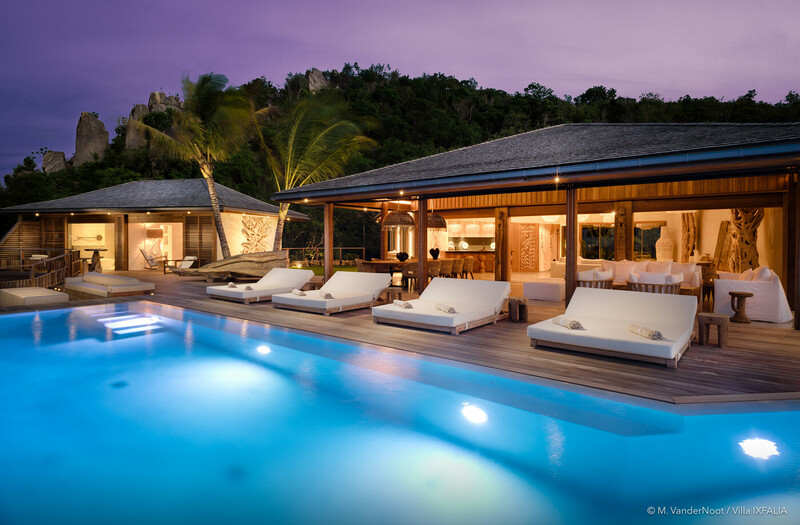 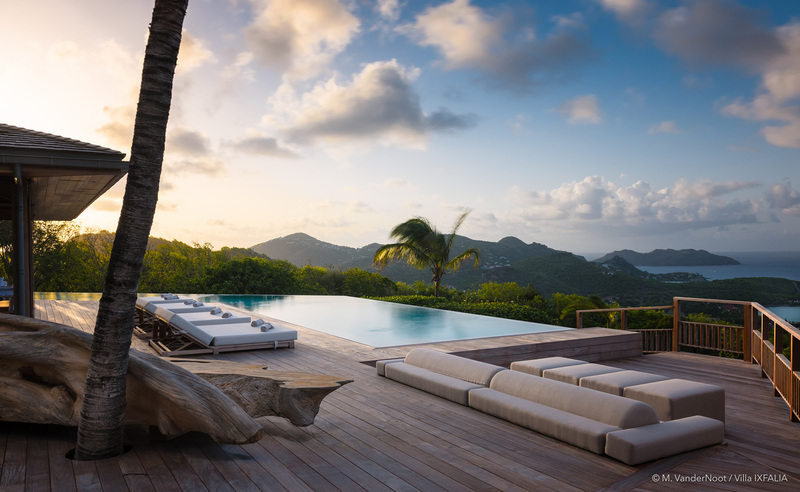 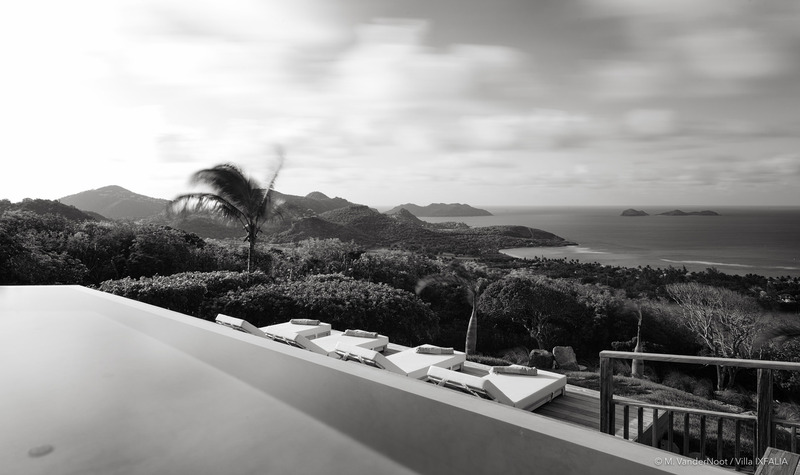 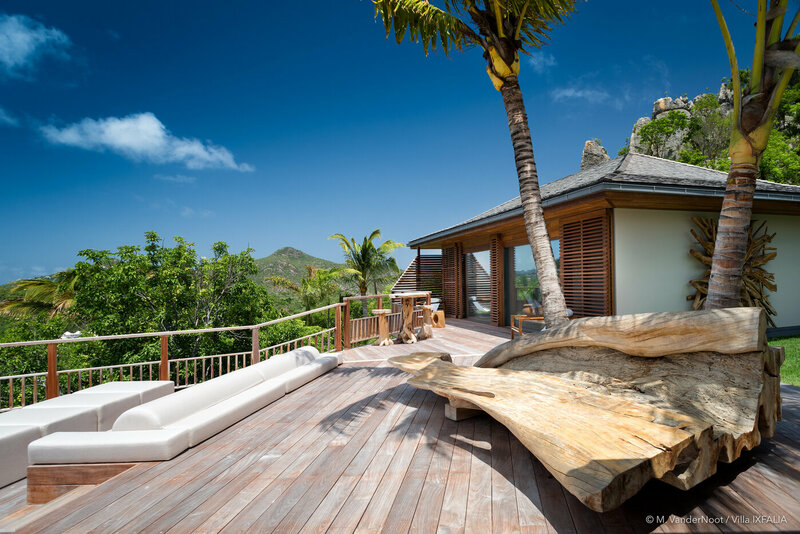 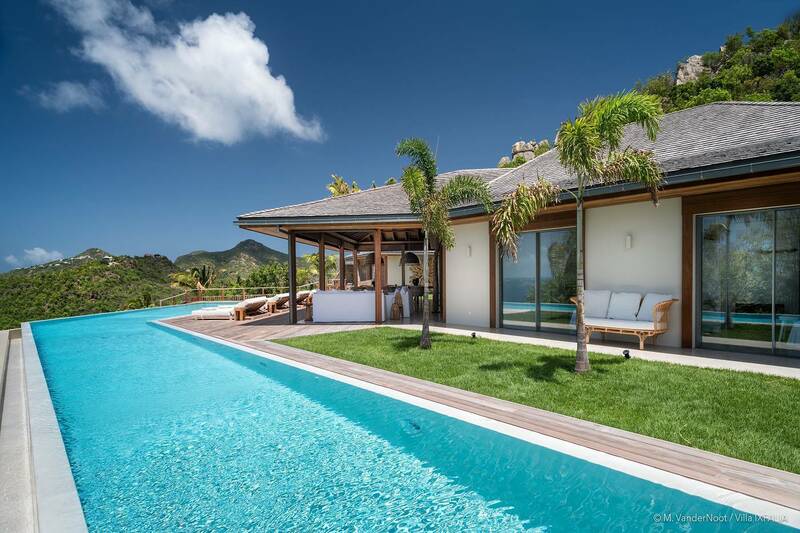 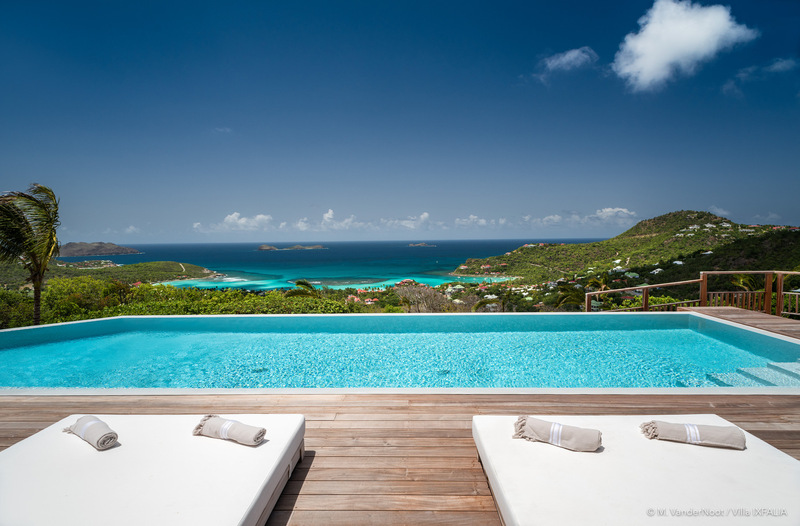 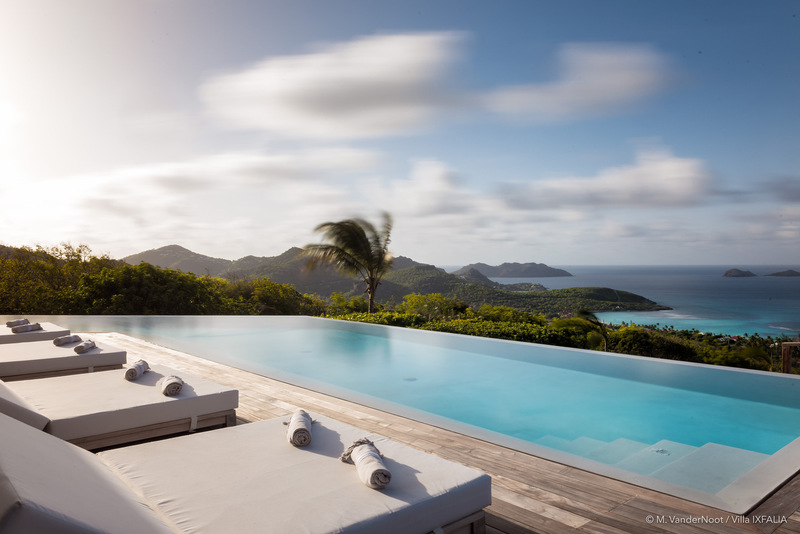 Dream About: Returning from lively St. Jean to the quiet, private luxury of your villa overlooking the sea. 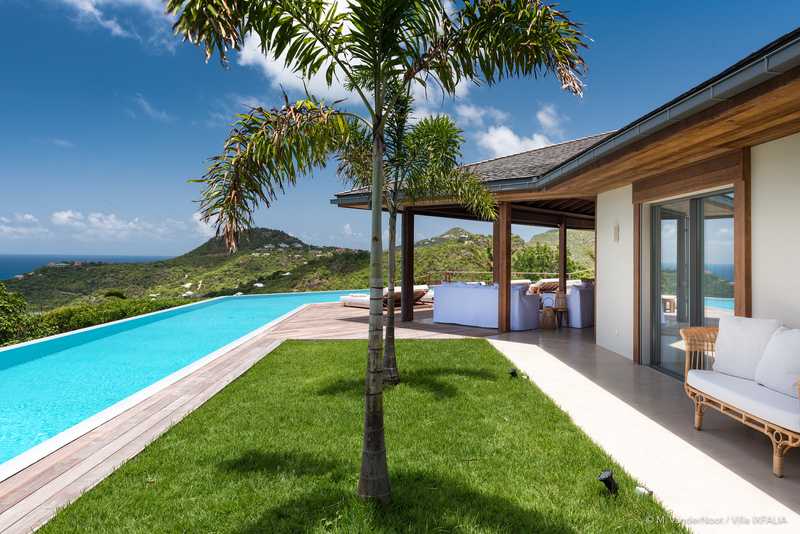 Guests at the stunning four bedroom Villa Ixfalia are treated to a panoramic view of the sea and the surrounding lush green hills. 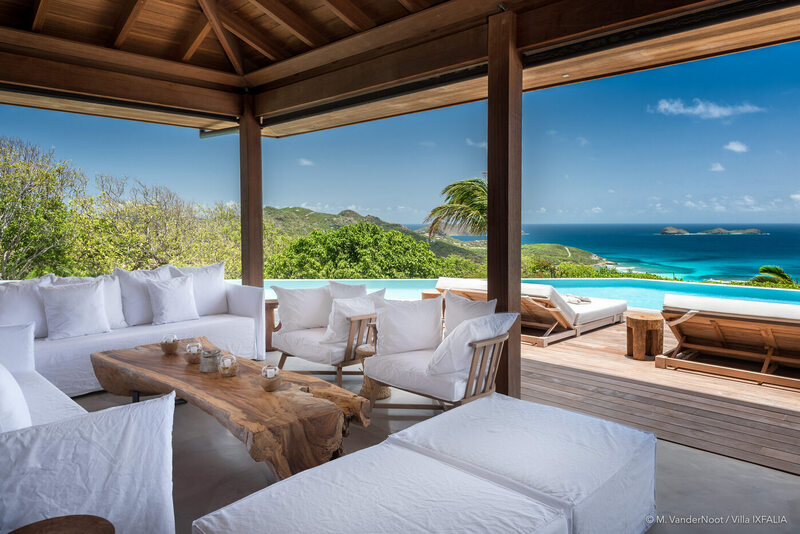 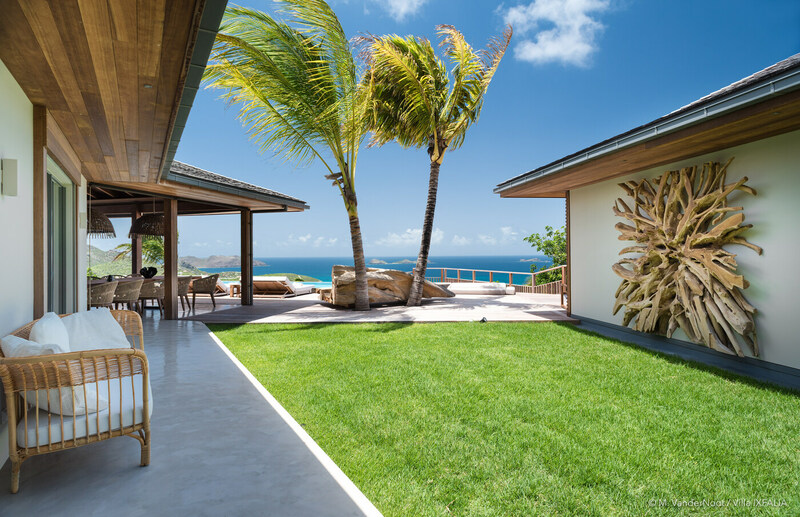 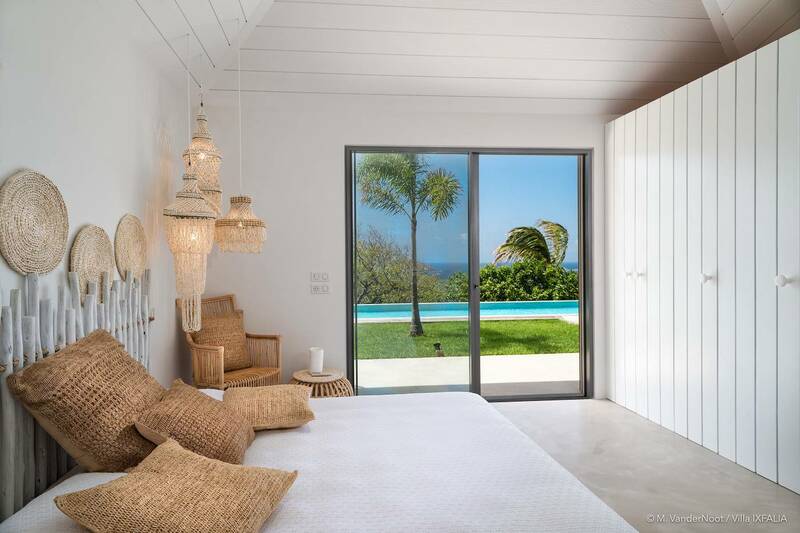 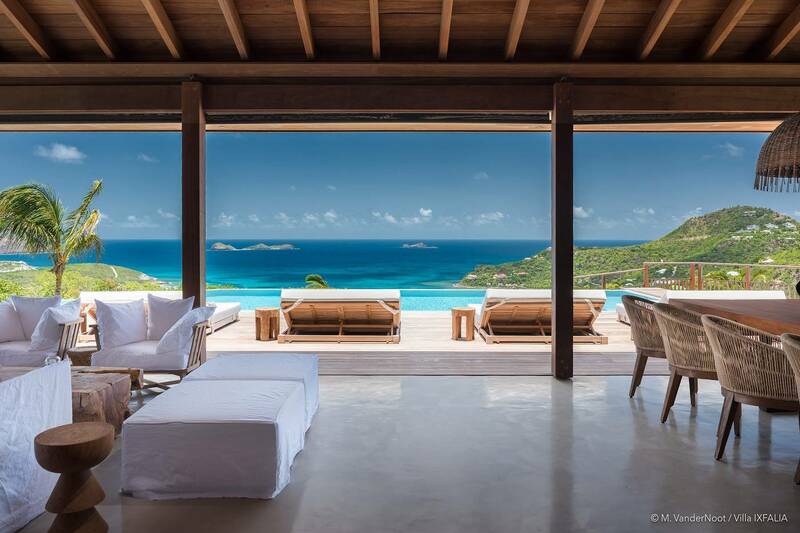 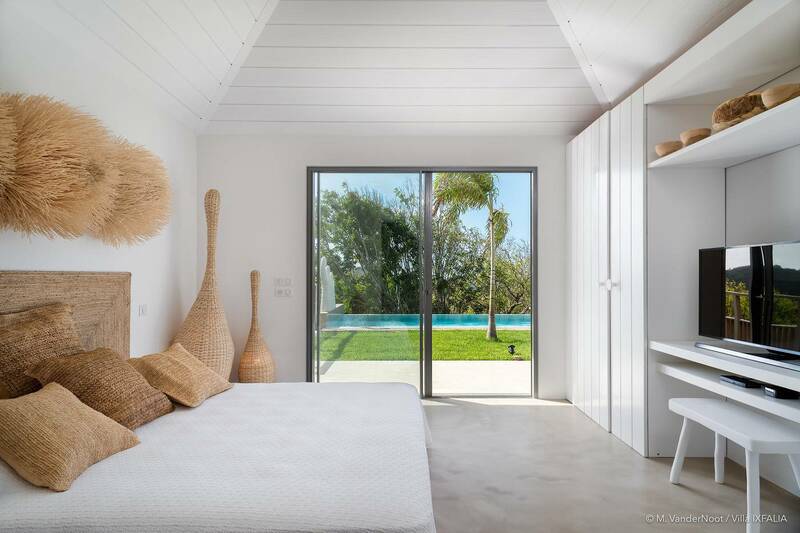 Its "best of both worlds" location combines secluded privacy with proximity to St. Jean Village’s lively scene of bistros and boutiques and one of the island’s most popular beaches. 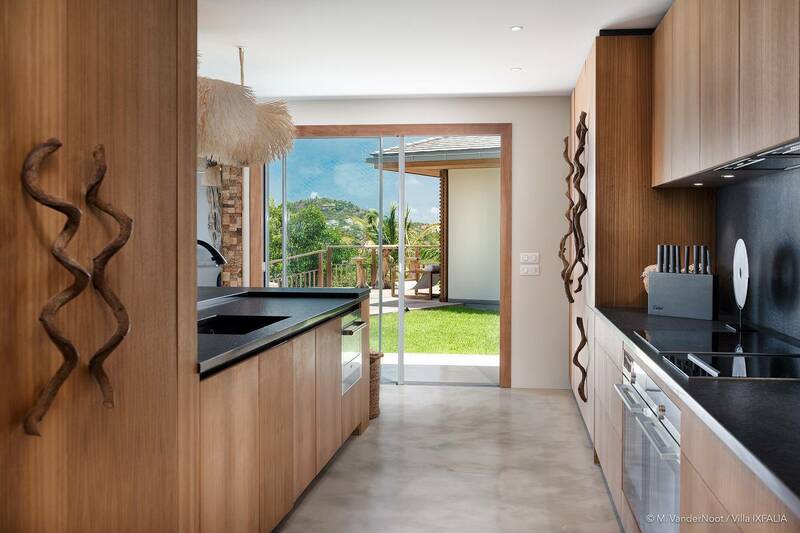 An open floor plan that includes a living room, dining area and a sleek gourmet kitchen, opens to a covered terrace furnished for outdoor relaxing and alfresco dining. 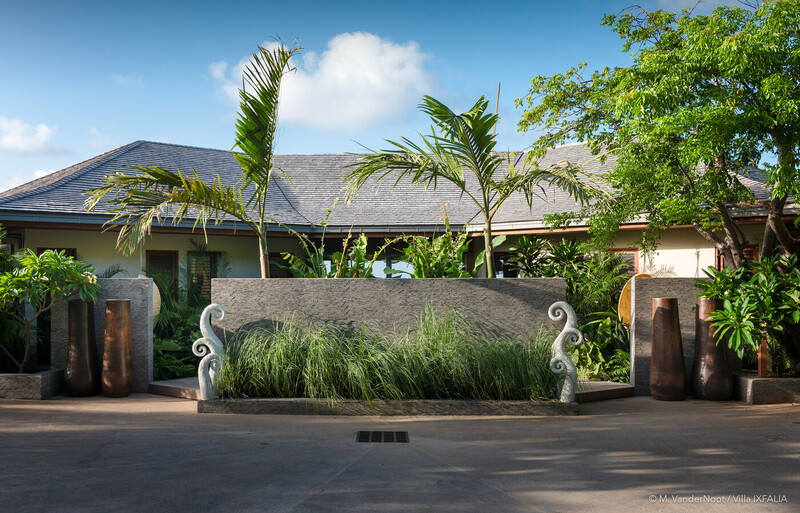 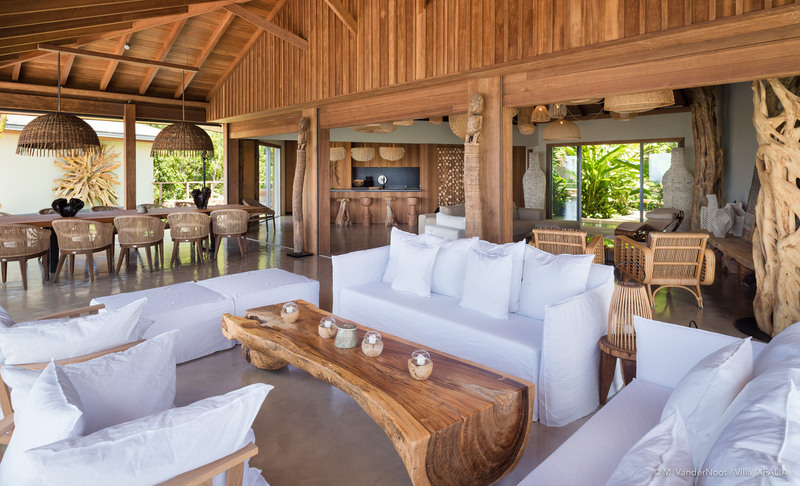 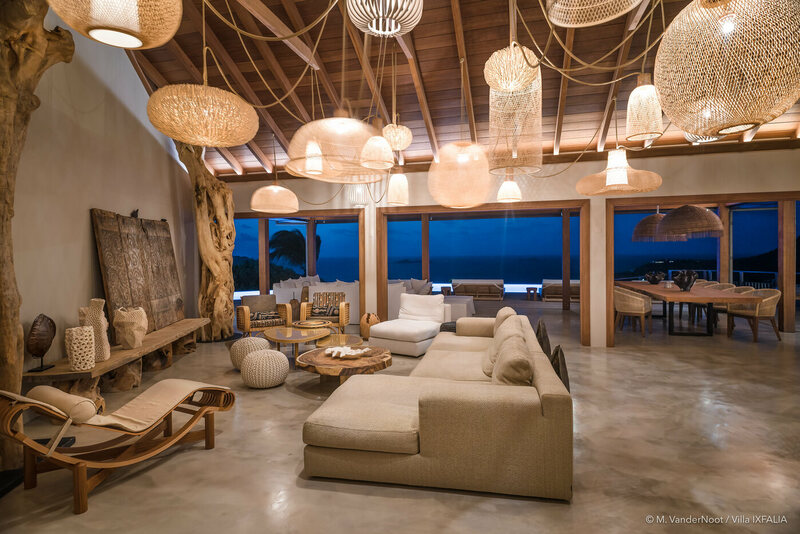 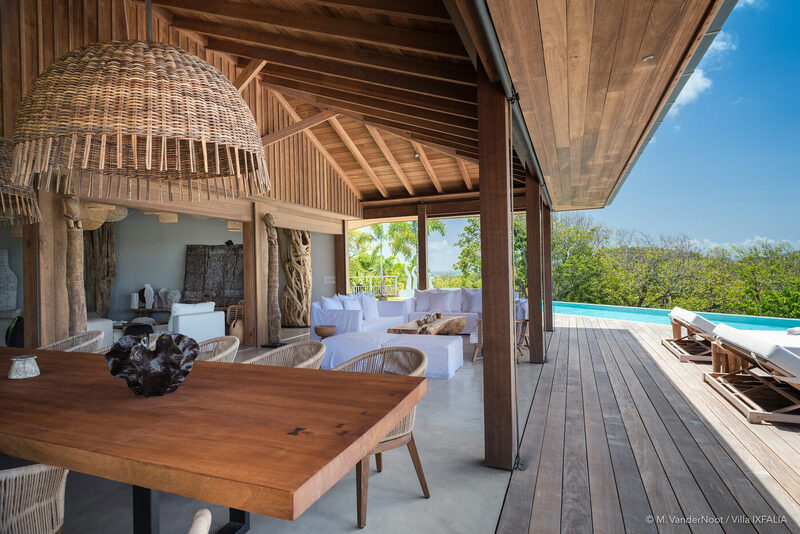 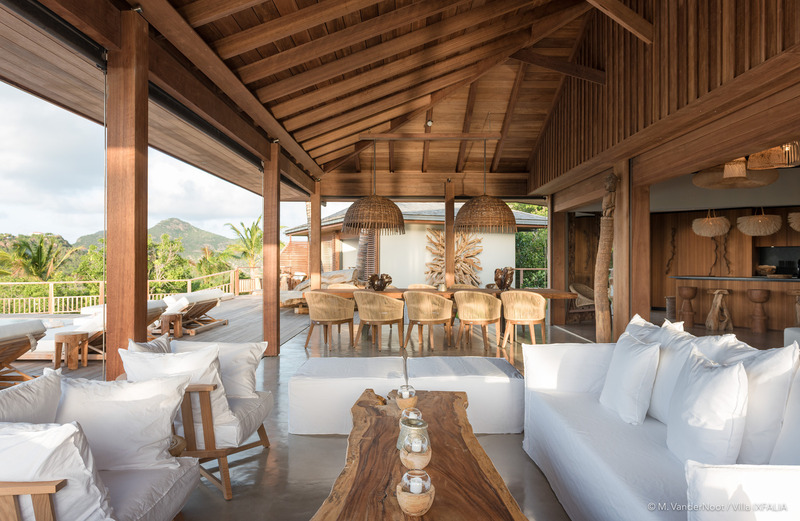 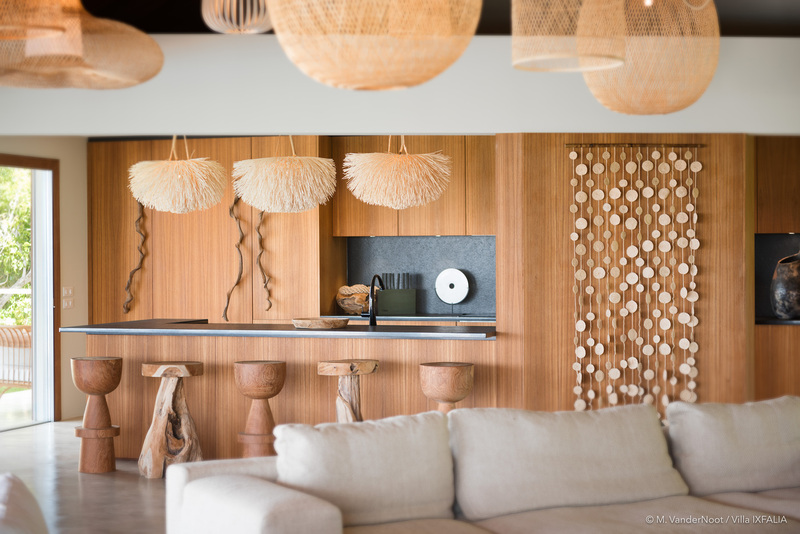 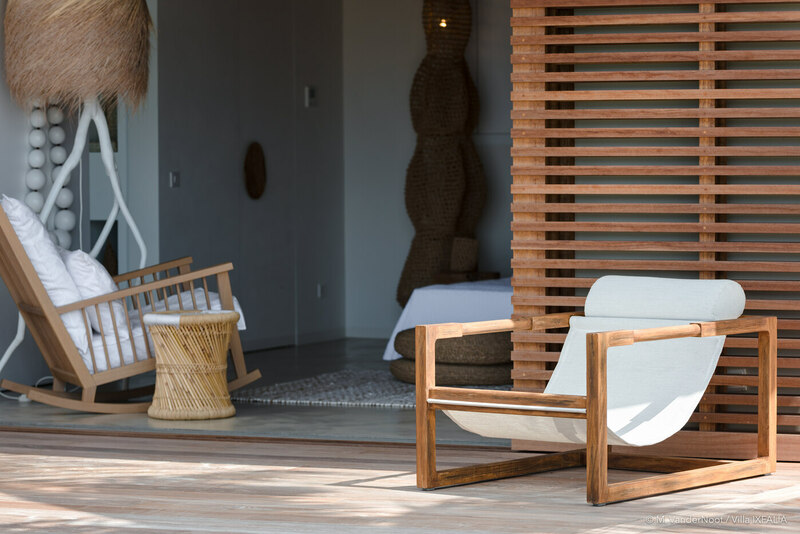 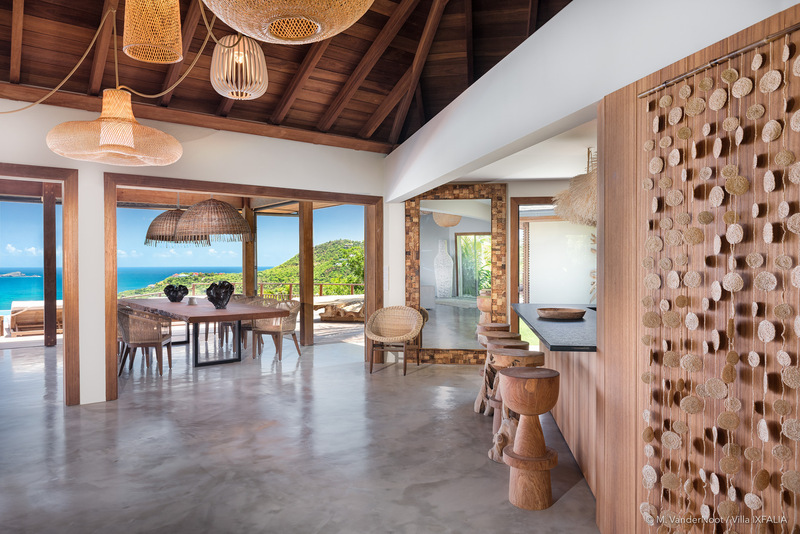 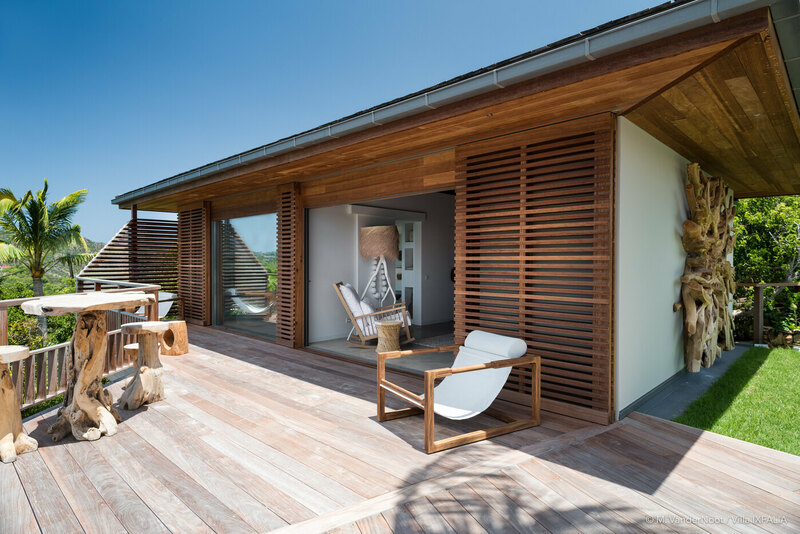 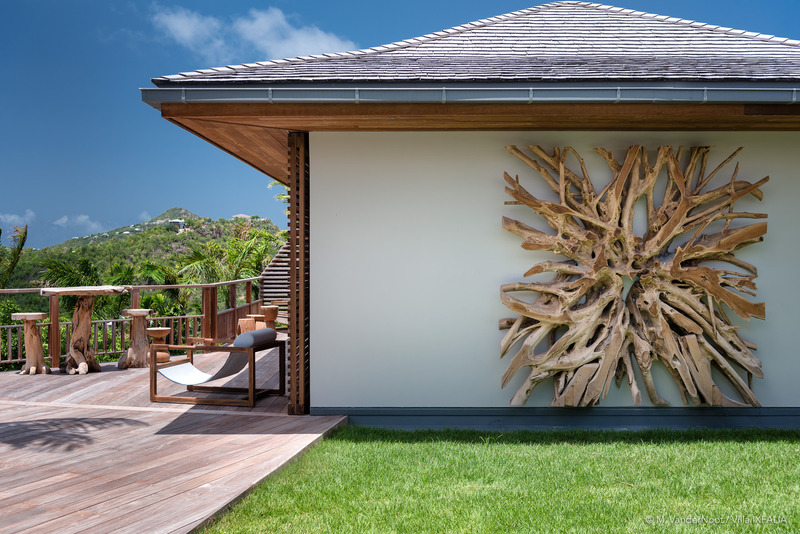 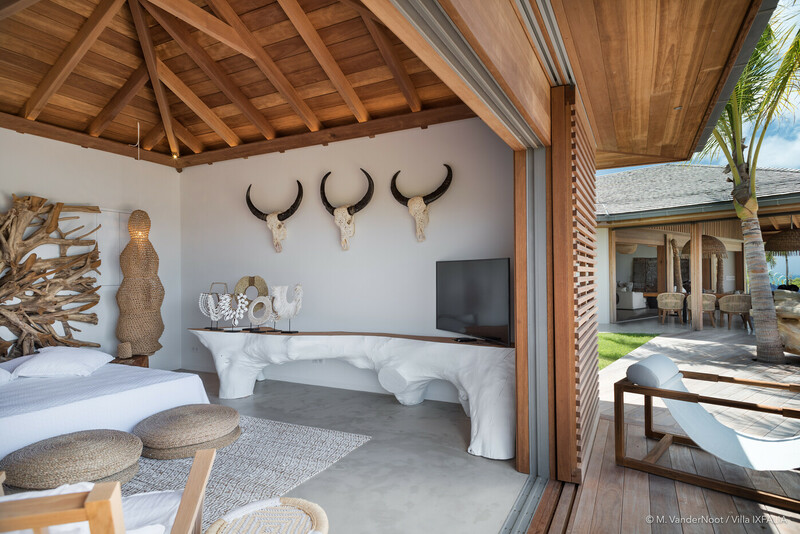 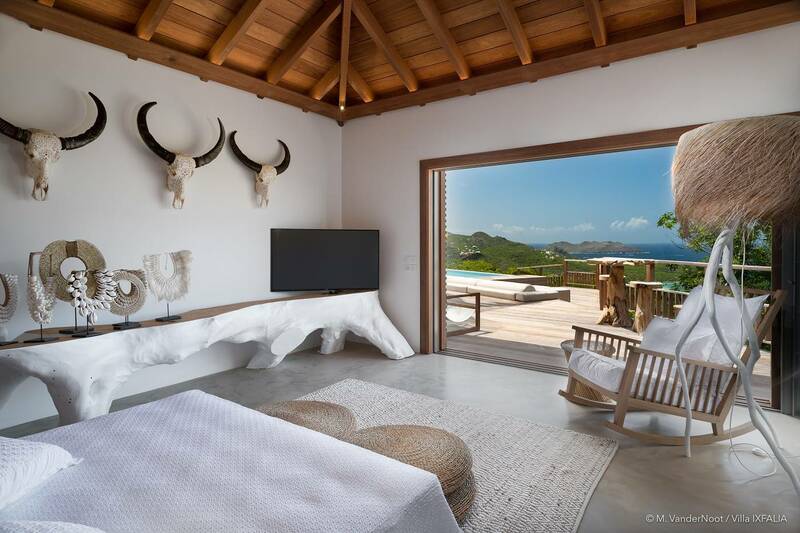 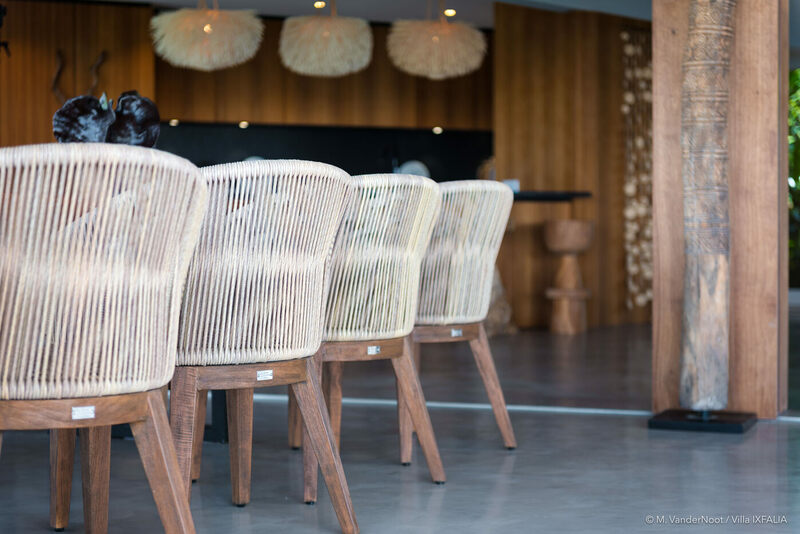 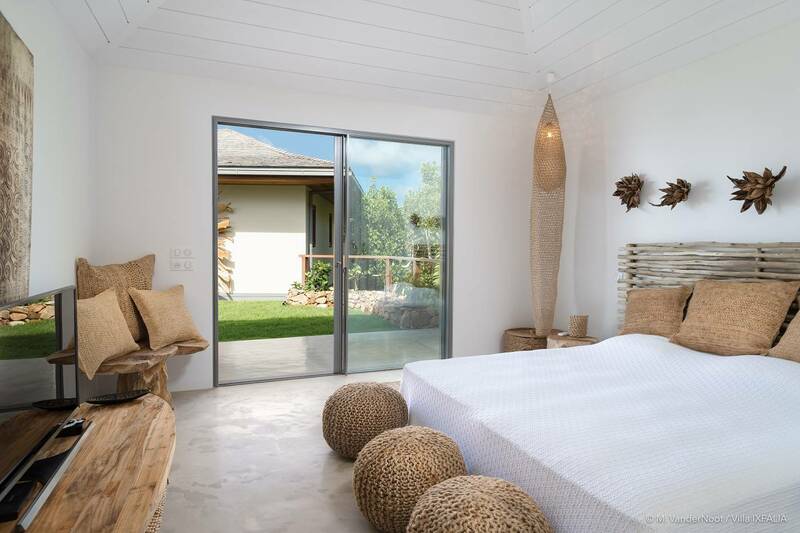 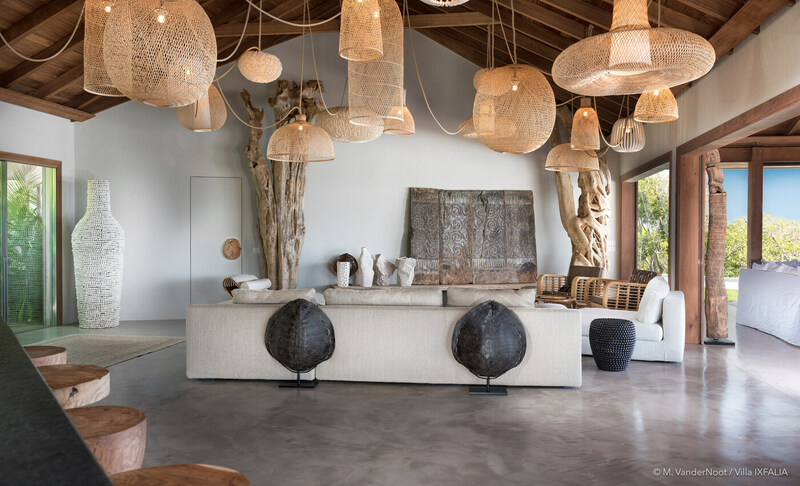 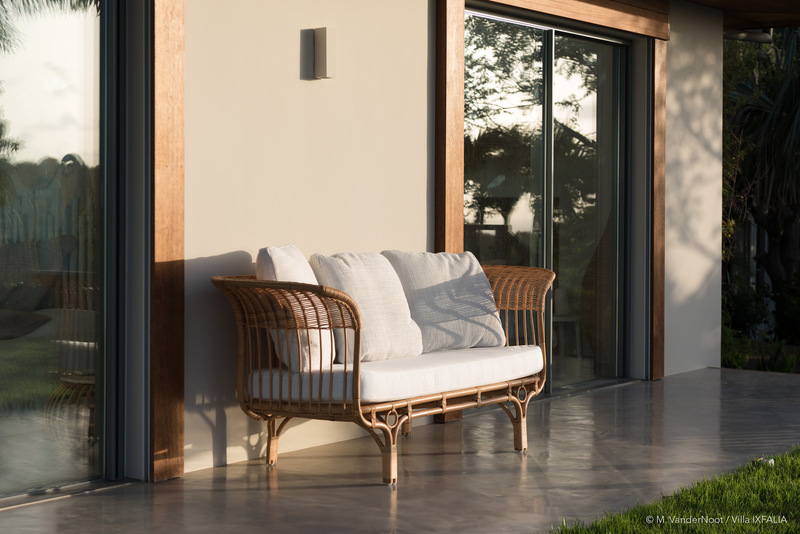 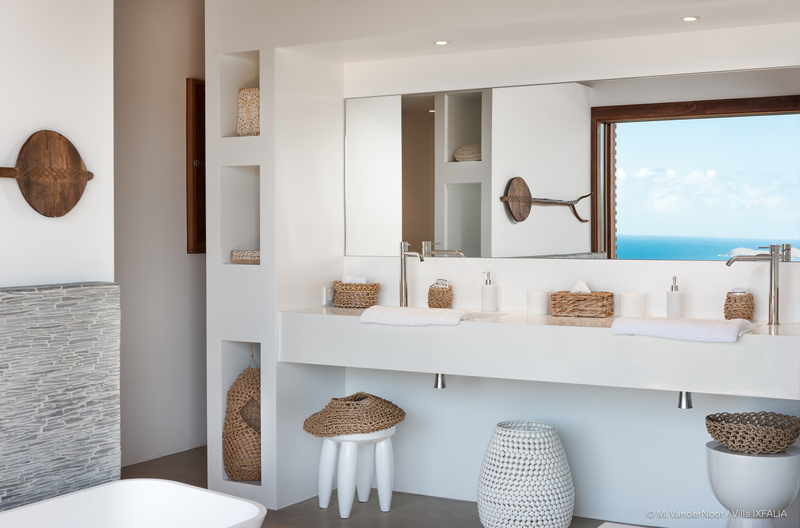 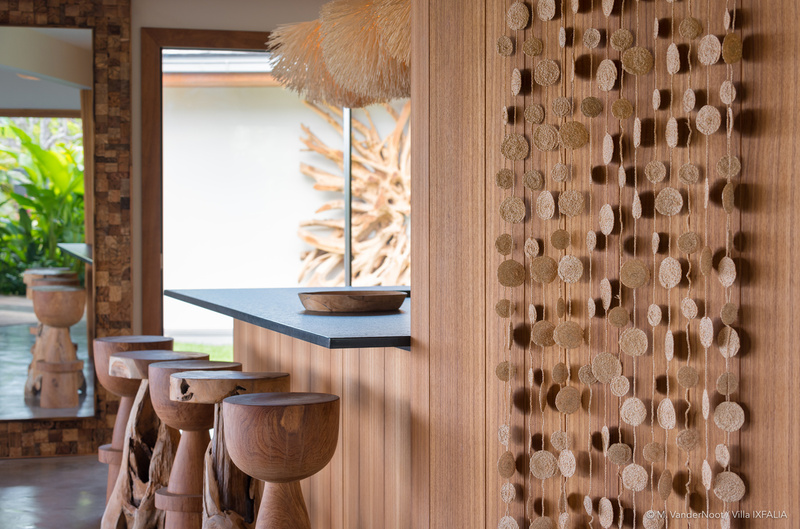 The unique décor is beachy-rustic throughout, combining a cool white palette with lots of warm wood and interesting accent pieces nicely complementing the villa’s contemporary architecture. 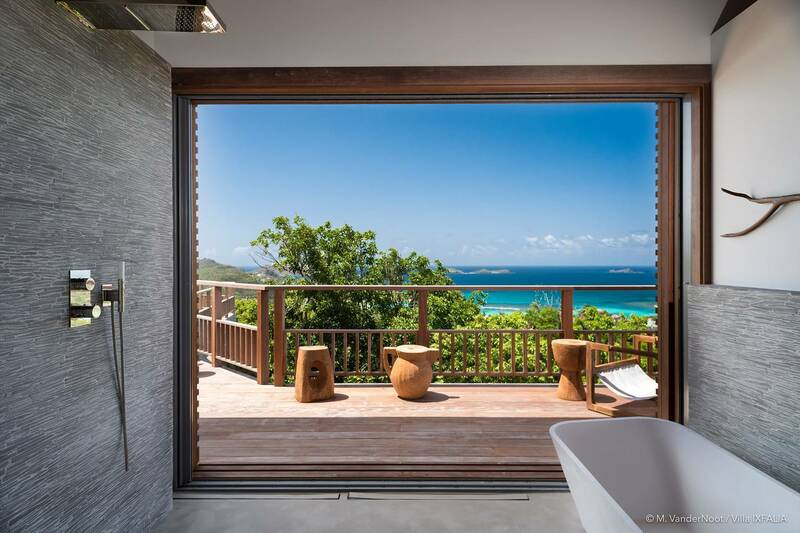 The breathtaking vista can be enjoyed from almost every vantage point. 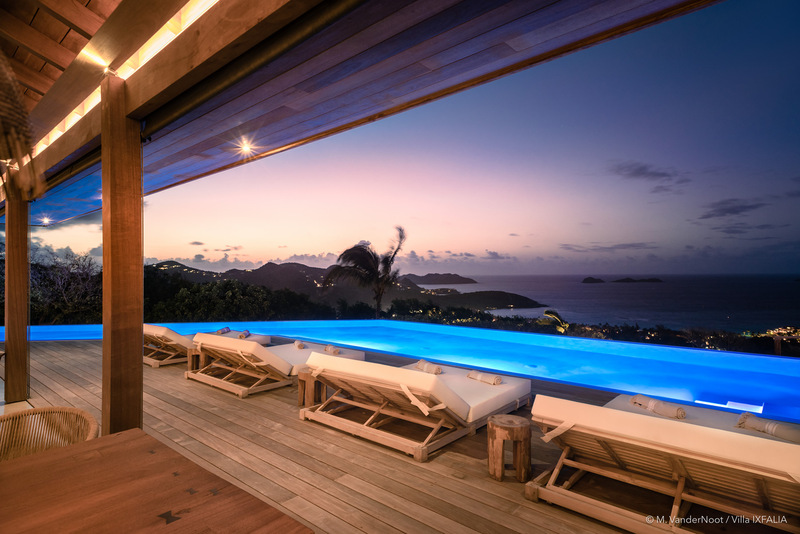 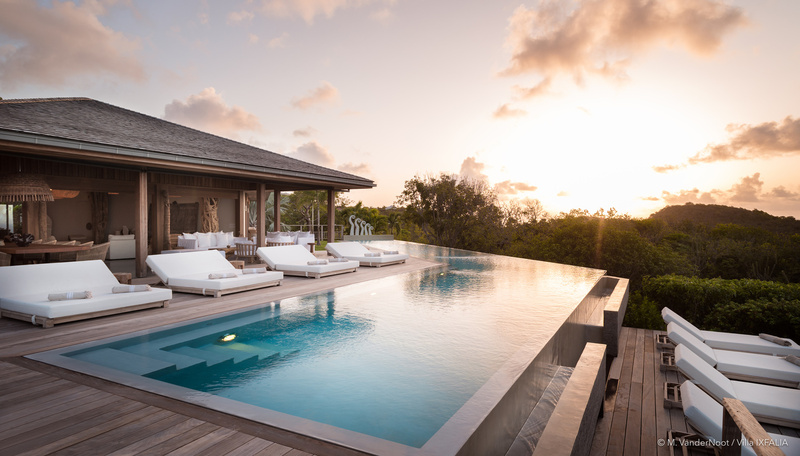 An L-shaped heated infinity pool is the hub of an expansive deck and is banked with plush day beds. 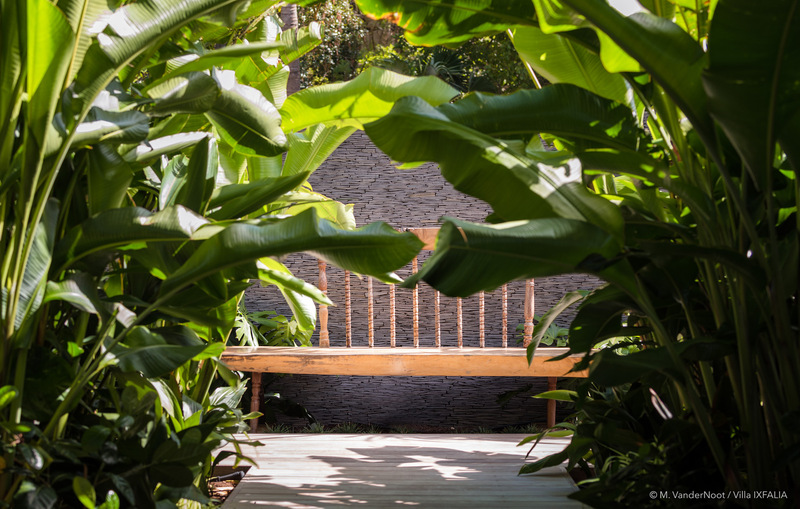 Sun seekers can step down to a lower deck to quietly bask. 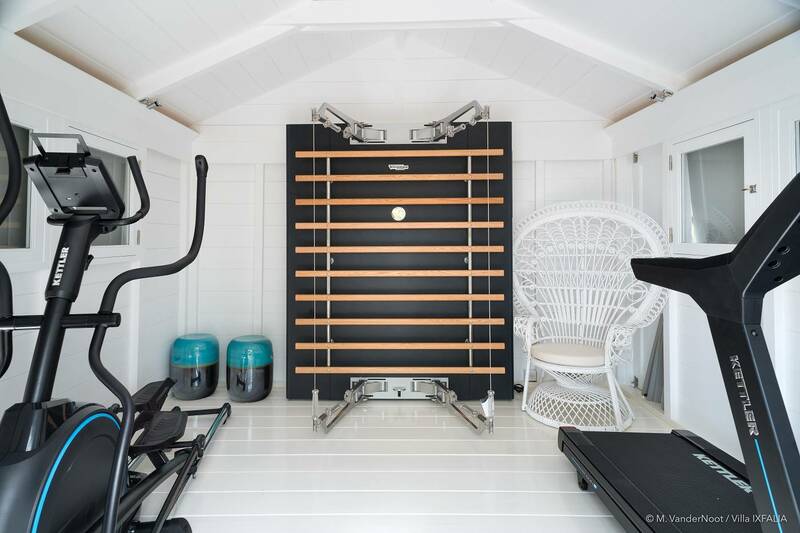 Special features include an air-conditioned mini-gym housed in a separate bungalow and a Bocce Court. All the four equally sized en suite bedrooms have glass sliders framing ocean views and king beds (one has a king/twin option). 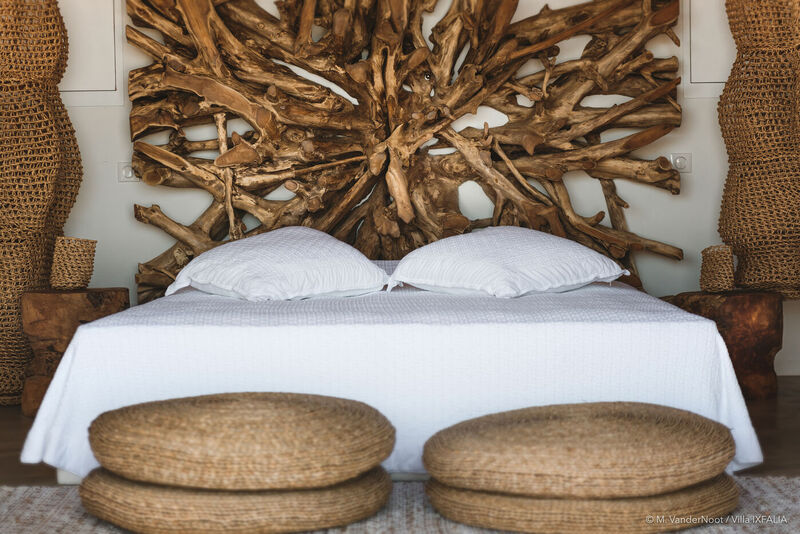 Three have French king beds and one has a king/twin option. 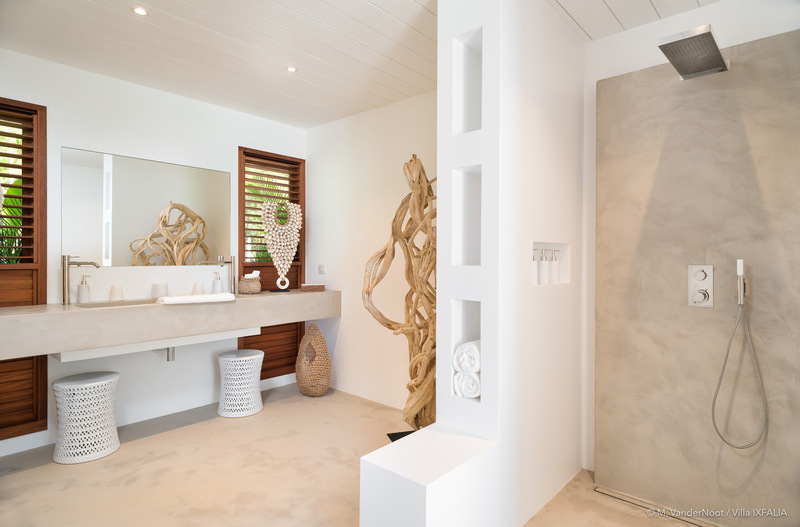 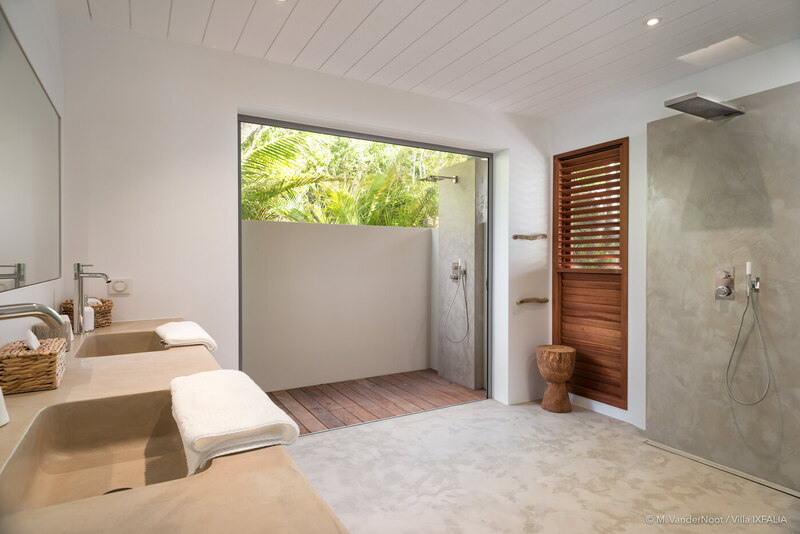 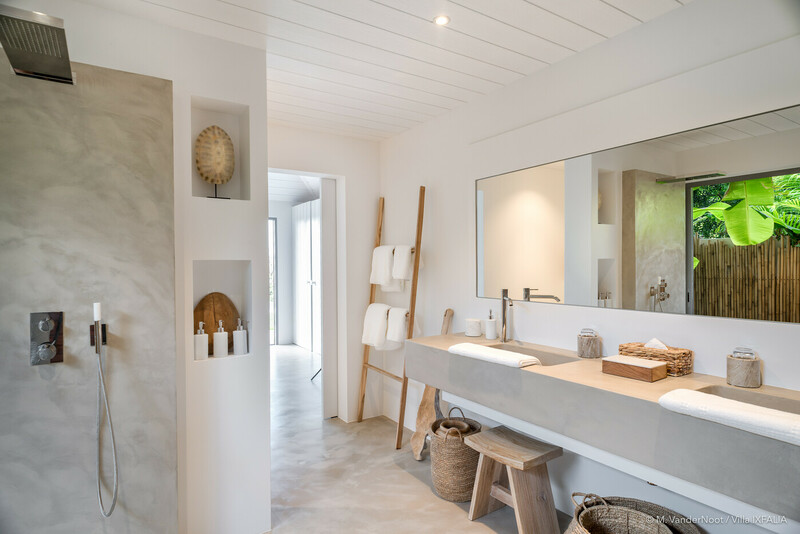 The master’s bath includes a tub as well as a shower and the others all enjoy indoor and outdoor showers. Techno amenities include TVs in the living room and all the bedrooms with US and French satellite TV Service and Apple TV. Villa Ixfalia is a wonderful vacation home to share with friends. 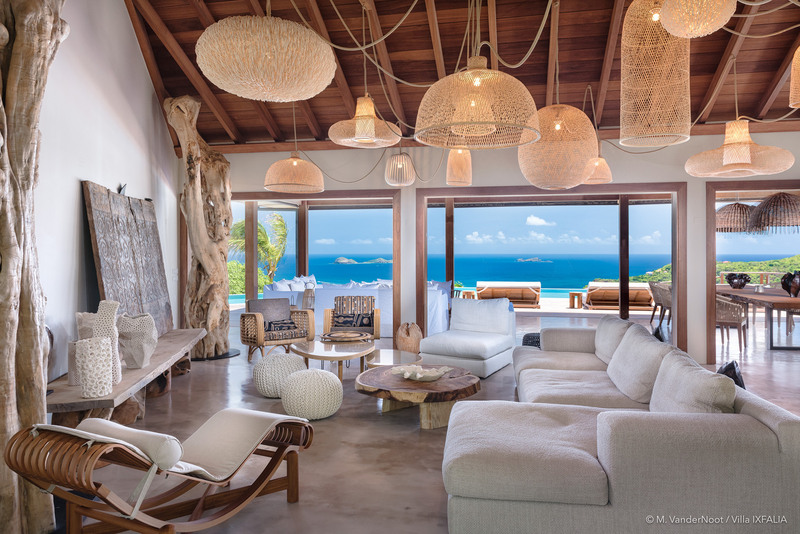 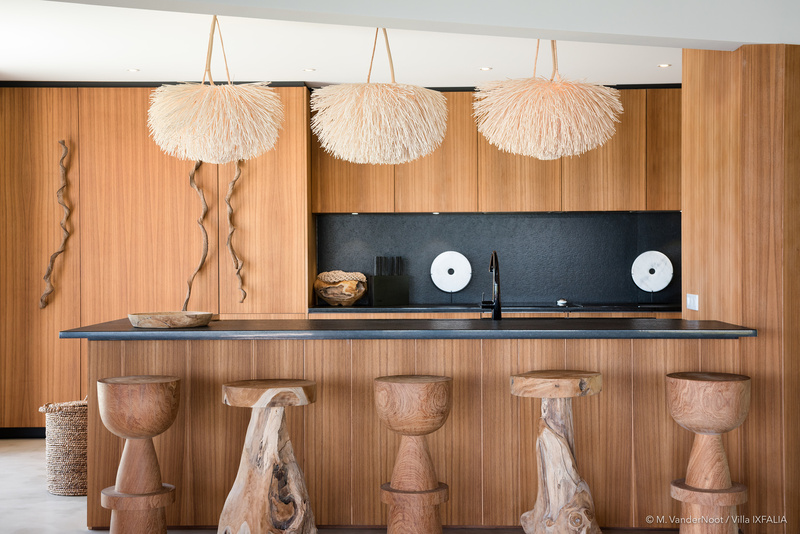 Its décor combining beachy, modern and rustic elements. 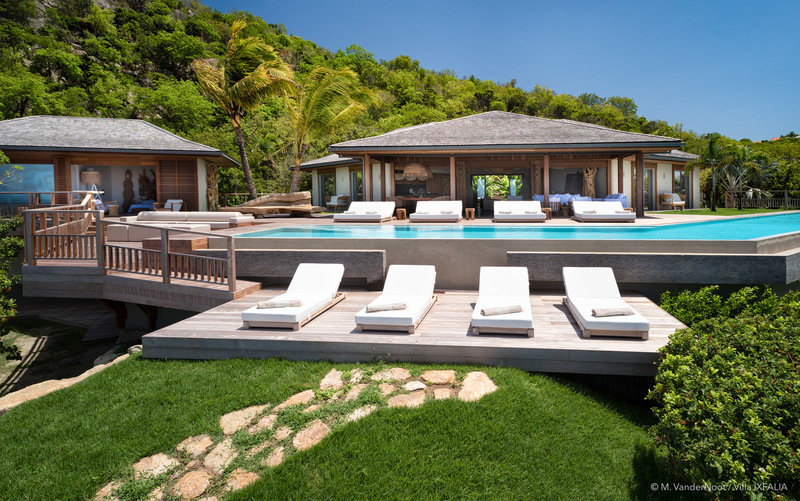 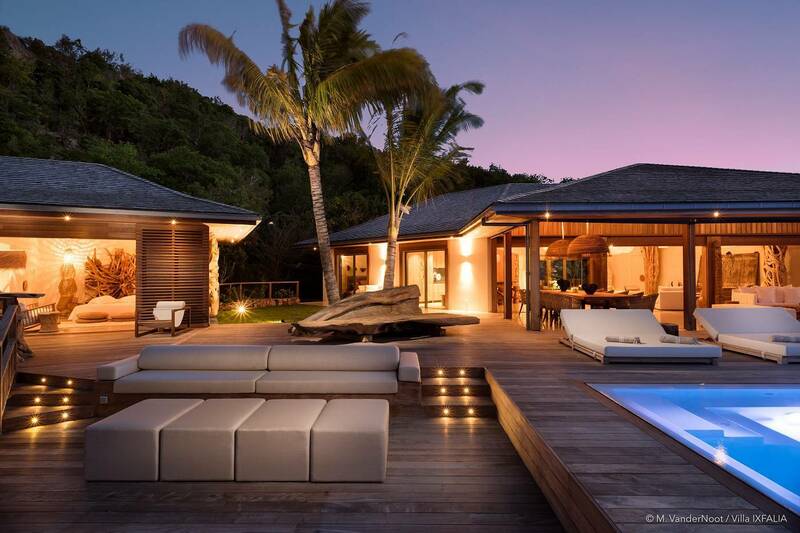 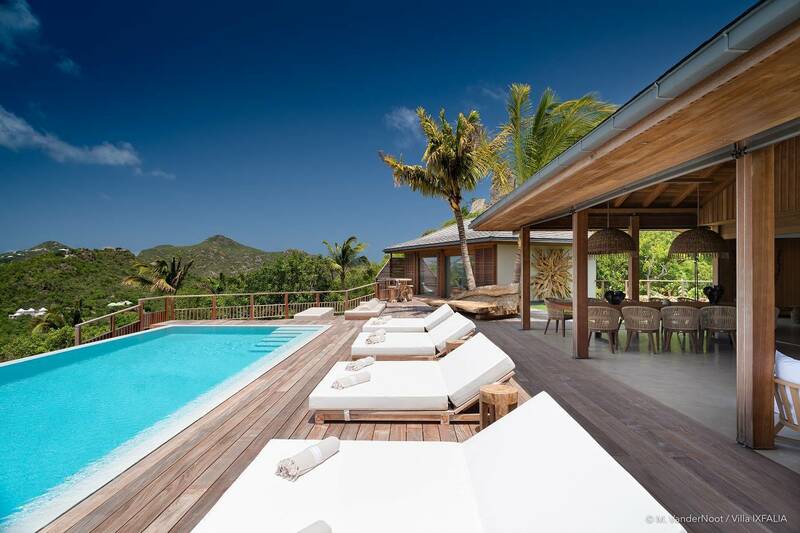 Contemporary and luxurious; 4 equal-sized en suite bedrooms; expansive outdoor living; L-shaped heated infinity pool.